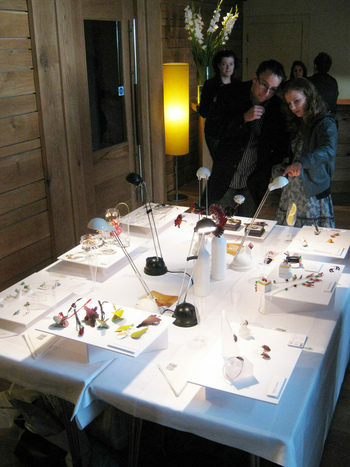 As the festival is a food inspired one, we took that for our inspiration too, and made jewellery from food, food packaging or reminiscent of food. I love a good cup of tea, so I made jewellery from dolls house miniature cups and saucers and cutlery. I also had some hair clips and rings, but they have sold out! 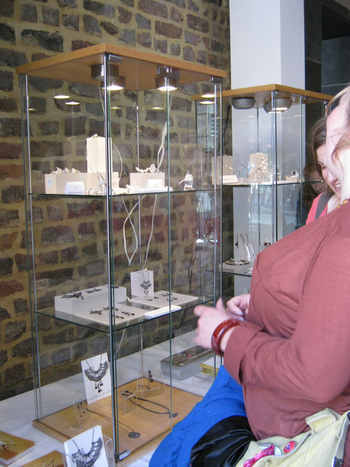 We had other collections on display, you can just see my Vintage Noir collection in this showcase. It looked really fantastic; thanks to fellow MJMAN members, Tony Wong, Linda Jones, Elaine Jenkins and Barry Swerdlow for laying the table beautifully on the day!